Through the years, The Biggest Tattoo Show on Earth remained dedicated to its purpose: to pioneer the art of tattoo and to create a mecca where artists and enthusiasts can come together to elevate their work. So whether you’re getting inked by the best in the world, searching for inspiration or just looking for some of the best people watching on earth, you’ve come to the right place. 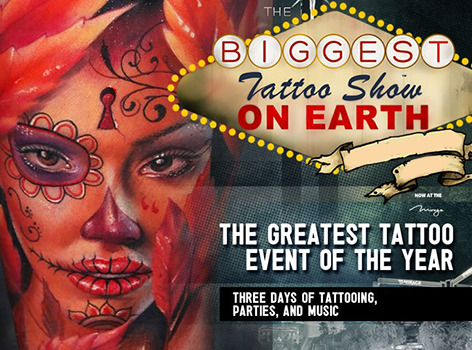 Hands-on classes, meet and greets with the greatest tattoo artists alive, and, of course, plenty of ink are coming together for the ultimate tattoo event.